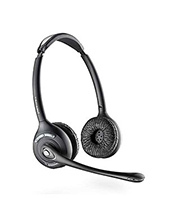 Sennheiser SH 338 IP is a good quality lightweight single-sided wideband headset designed for all-day users working in busy Unified Communications environments. 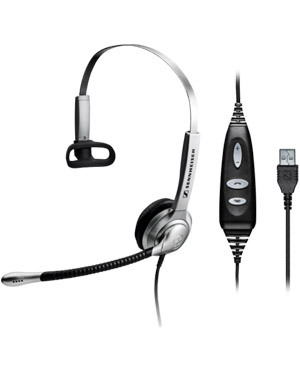 With the focus on managing calls seamlessly by one device, Sennheiser SH 338 IP with integrated call control cable and USB connector offers greater functionality, easy handling and convenience when using a preferred softphone on PC. 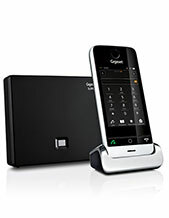 SH 338 IP productivity benefits include: Softphone and Microsoft Lync compatibility, unique sound-channelling foam earpads, Sennheiser superior wideband acoustics, balanced-fit adjustable headband, 300° adjustable microphone boom, noise-canceling microphone, and Sennheiser's unique, patented ActiveGard™ acoustic shock protection technology.